Model Engineer is a great way to stay informed of everything to do with working mechanical models. With over 100 years of experience to draw on, Model Engineer covers everything from classic steam locomotives to cutting-edge modern developments in scale engineering. Regular content includes constructional articles, features on the best techniques and tools available and profiles of full-size modelling subject prototypes. 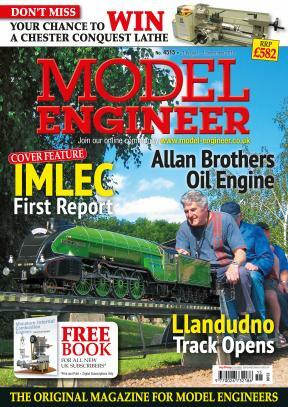 Model Engineer magazine publishes 26 great issues a year.